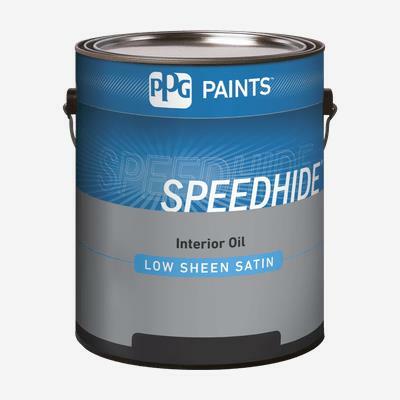 SPEEDHIDE® Interior Alkyd is our best professional interior low sheen alkyd formulated to meet the performance requirements of professional applicators. SPEEDHIDE® Interior Alkyd is designed as a high hiding product where the durability and scuff-resistance of an alkyd are needed. This low sheen alkyd has excellent flow and leveling to yield a smooth, even appearance on interior walls and trim. Recommended for use on properly prepared and primed or previously painted drywall, plaster, masonry, wood, and metal surfaces.